Thanks to the internet, international customers have more opportunities than ever to purchase popular and exciting products from the United States. Unfortunately, many of the hot ticket items on Amazon may not ship to your country. If you are lucky and the product you want will ship to your location, you still have to navigate Amazon’s frustrating international shipping process. At Big Apple Buddy, we have created a better way. If you’ve ever tried to use Amazon Global Shipping, you already know it is not a simple process. 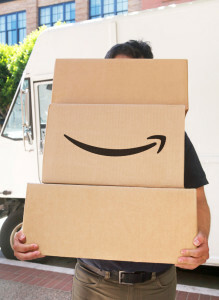 The Amazon Global help page outlines the how to purchase an item and ship internationally from Amazon, but there are nearly ten steps to the process. At Big Apple Buddy, we don't think it needs to be that difficult. Just request a quote and we take it from there. It doesn't get much simpler than that. There’s nothing more frustrating than finding the product you want, only to discover that Amazon does not ship it to your country. Even if you use the Amazon Global Shipping filter, you still can’t be certain that an item will ship to you until after you review the product details. This means you can end up spending hours searching for a product that you still won’t be able to purchase. That’s not the case with Big Apple Buddy. When you submit for a free quote, we take the time to locate your item, find the lowest price available, and then send you a shipping quote. Unlike with Amazon Global, there is no limit to what you can order from us for international shipping. Amazon Global’s Expedited Shipping can easily take 5-9 business days. That’s the expedited shipping. Amazon Global’s Standard shipping can take nearly twice as long and free international shipping can take months. Even if you buy the newest gadget the moment it becomes available, you may find yourself waiting weeks before it arrives. With Big Apple Buddy, we take advantage of partnerships with DHL, FedEx, and UPS to reduce international shipping time dramatically. Once we purchase and ship your item, you can expect it on your doorstep in as little as 2-4 business days. We let you know up-front what your shipping costs will be with a free quote and how long international shipping will take. After we purchase your item from a reputable store, we review the order to check for errors. We also repack the item for you. In doing so, we take care to ensure your item is packaged safely and we’re able to minimize shipping fees. In fact, by using Big Apple Buddy you receive up to 70% off international shipping rates. We ship to over 220 countries around the world including Australia, UK, New Zealand, Germany, Switzerland, Netherlands, France, Italy, Canada, Brazil, UAE, Norway, Spain, Singapore, South Korea, Hong Kong, Thailand, Russia, Malaysia, Mexico and South Africa. Don’t wait any longer to get the best products delivered to your doorstep in as little as 2-4 business days. 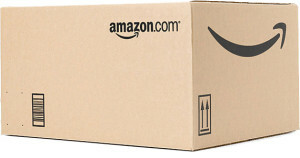 If you are interested in buying Amazon products for international shipping, contact us for a free shipping quote!